The trends and tools impacting financial marketing are evolving at a breakneck pace. Here are five of the biggest that will impact your ROI. To succeed as a marketer in 2016, the needs and experiences of your customers need to be at the forefront of your mind, regardless of the industry you operate in. Marketing strategies must constantly be adjusted based on changes in technology, analytics and customer sentiment. With financial technology continuing to innovate and disrupt a growing number of areas in the financial sector, marketing tactics need to evolve to meet the growing demands of the consumers in this rapidly changing space. Brands need to look beyond the usual channels to stay ahead of the curve, rather than try to find a seat on the already departed bandwagon. Big data, which includes both structured and unstructured data, can be a gold mine for marketers, particularly in financial services. Until very recently, marketers could not utilize big data because they either didn’t have the sophistication or the resources to comb through the data and apply it in a meaningful way. But new tools and software, such as Qubole, Splunk, Tableau and Pentaho, have entered the market, making big data far more accessible. Companies like Amazon have mastered the art of using prognostic analytics to evaluate customers’ buying patterns and predict other products they may be interested in. As more marketers are able to wrap their arms around their company’s data, that information will continue to play a key role in marketing decisions. FICO, for example, has done a commendable job of using predictive analytics to unlock value in data and make smarter decisions about its customers. The company has an excellent section on predictive analytics on its website, explaining the concept, how different financial sectors are utilizing big data and how the right tools can help solve real world problems. As traditional advertising costs continue to rise, so does the growing need for original, quality content. Content marketing is based on the premise of nourishing relationships with your current and prospective clients and providing value beyond what your product or service has to offer. When executed correctly, a content marketing strategy can have a tremendous impact on your marketing efforts – and your bottom line. In fact, 61% of consumers say they feel better about a company that delivers custom content, and are more likely to buy from that company. The Financial Brand, Accenture’s Banking Blog and Cisco’s Financial Services blog are all great content examples in the financial services space. Each of these outlets provides a wealth of value to its readers, from breaking news and industry insights, to key advice on technology, strategy and growth opportunities. An integrated campaign that promotes custom content through public relations and social media channels – in addition to your company website or blog – can have a tremendous impact on your company’s overall brand awareness and lead generation. The importance of Millennials may be a bit obvious, but it needs to be mentioned nonetheless. From the increasing number of payment and money transfer applications, such as Venmo, Stripe and Apple Pay, to the rise of Robo-Advisors in financial services, it’s clear that financial services companies are targeting millennials with their services … and if they aren’t, they should be. More than 60% of internet usage occurs on a mobile device, with the millennial generation accounting for the largest demographic accessing the web via their smart phone or tablet. According to Nielsen, more than 85% of millennials in the U.S. own smartphones and they touch them an average of 45 times per day. What’s more, millennials wield about $1.3 trillion in annual buying power, according to Boston Consulting Group. Millennials have been fueling the market among payment and transfer application and personal investing companies and we’re starting to see more of a focus on this demographic among financial management, lending and financing and insurance firms as well. Upstart, a company that bypasses traditional lending models to extend loans to people without an extensive credit history, is a prime example. Video technology has been gaining steam as a marketing medium for quite some time and the trend is showing no signs of slowing down. Video currently represents close to 70 percent of all internet traffic and will reach 80 percent of traffic by 2019, according to a report by Cisco. That’s nearly a million minutes of video being shared every second! We’ve also seen video make its mark on both the social and media landscape as well. Facebook has opened live streaming to all users, and the advent of tools such as Blab, Meerkat and Periscope have changed the way news is being reported as reporters have started using livestreaming tools to give viewers unprecedented access and intimacy to breaking news events. Video is an extremely powerful marketing tool for many reasons. It’s easy to digest, engaging and entertaining, but more importantly, it allows you to convey key company messaging in less than a minute. With so many things competing for people’s attention, there really is no substitute for video in your marketing efforts. Animoto reports that 73% of consumers say they are more likely to buy a product or sign up for a service if they watch a branded video that explains the product. 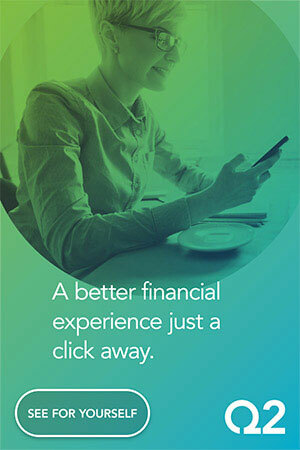 Video examples from Chase, Square, Betterment and Wealthfront illustrate the excellent job that can be done using video to showcase the client experience and benefits of using their product and others are doing the same. As the cost to acquire an individual customer continues to increase, companies have been placing more of an emphasis on making sure their customers keep coming back. Enter relationship marketing. Relationship marketing is definitively not a new concept, based on building stronger loyalty and long-term customer engagement rather than on quick, short-term customer acquisition and individual sales. 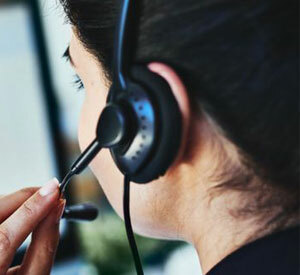 This approach helps companies develop strong, emotional customer connections to their brands that drive word-of-mouth promotions and lead generation. The difference between today’s relationship marketing and the CRM strategies of yesterday are the tools and channels available for execution. To excel at relationship marketing, a company must rethink the way they do business in order to maximize the value of that relationship for the customer. Technology, social media and data help in relationship marketing efforts as well, as we now have the ability to track, store, analyze and then use vast amounts of information about customers. As financial services companies continue to refine their data analytics and customer engagement tactics, they will be able offer more personalized, customer-centric solutions. We saw a great example of relationship marketing from 1stBank with its recent “We Care About Small Business” campaign. The bank showed its commitment to clients operating small businesses by hanging up billboards in selected states promoting their services for free. 1stBank also placed 500 business cards on ad surfaces in high-traffic areas to promote the companies they work with and the services they offer. This was an excellent example of using marketing to establish a stronger connection with a partner. Financial marketers are under more pressure than ever to generate a strong return on investment. Marketers will rely on advanced technology more than ever to handle the increasing complexities of financial marketing with a minimum of staff, hoping to satisfy consumers’ need for convenience and to abide by increasingly complex regulatory rules. 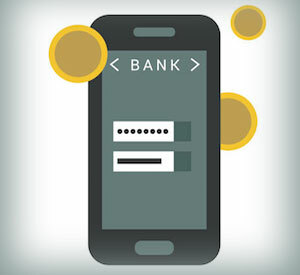 Understanding and leveraging the changing trends and advanced tools will be central to the bottom lines of banks and credit unions going forward. Relying on the tools and tactics of the past will no longer be sufficient. 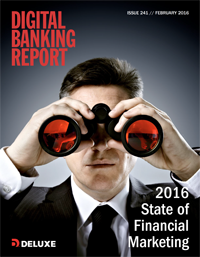 The 2016 State of Financial Marketing Report, sponsored by Deluxe, provides the most comprehensive guide of bank and credit union marketing and retail banking trends and spending. The report is based on a survey of close to 300 financial services executives and includes 62 pages of analysis and 40 charts. This article was originally published on March 14, 2016 . All content © 2019 by The Financial Brand and may not be reproduced by any means without permission.